Discover a blast of ice cold freshness with HUGO ICED, a fragrance designed for the modern urban man, set to inspire him to embrace the fresh potential of every day. Comprising a unique blend of inspiring ingredients that empower the wearer to take on the adventures of a daring and expansive world, creating unlimited opportunities for inspirational and life-changing experiences. Revitalising iced mint leaves will awaken your senses, wild tea aromas invigorate your soul and vetiver empowers your confidence and masculinity. 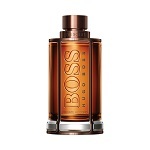 The fragrance comes in a unique sleek chrome bottle with its cap strapped on for the man on the move. 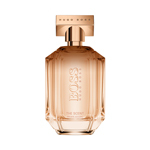 A sensory explosion for the man looking for ultimate freshness, in the heat of the day or night. HUGO ICED – as fresh as ice, as strong as steel!